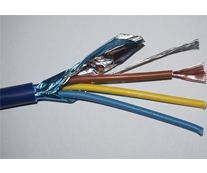 Fire rated and shielded power cable for mains power to your Hi-End Audio Gear. This cable ensures best transport of needed energy to our device but due to effective shielding, this is protecting your signal cables nearby even better from humm and RF noise generated by the 50Hz signal going tru the power supply cable. Also available as 3x1.5mm (85125) for smaller Diameter and lower current.